The open-world racer will come to both Xbox 360 and Xbox One, reports IGN. Forza Horizon 2 is being developed mostly by Playground Games, who are collaborating closely with original Forza developers Turn 10 games on the project. "Hundreds" of cars will be present in the sequel, according to the developers—the setting is Southern Europe, and the game's plot will revolve around a local music festival. Technology-wise, Forza Horizon 2 will introduce an all-new weather system, and Forza 5's cloud-based Drivatar AI will be present as well. 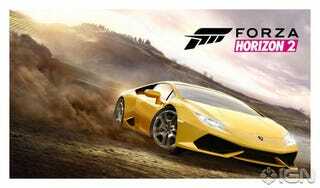 Forza Horizon 2 will be released this fall for Xbox One and Xbox 360.